Seeking to get more involved with your high school, you peruse the list of clubs and activities posted on your high school’s website. From there, you attend meetings of various clubs, get seriously involved in one or two, but, as time goes by, you are left with a yearning for something more, something that doesn’t presently exist at your school. If this sounds like you, then you may be an excellent candidate to start your own extracurricular club. Do I have to start a club to get into the college of my dreams? Some teens fall into the trap of thinking they need a mind-blowing array of extracurricular activities in order to be accepted into college. In the vast majority of cases, this belief simply doesn’t align with reality. However, at selective to highly selective institutions, extracurricular participation can make a difference. As committees wade through mountains of applications from candidates with superior SATs and academic transcripts, those who have demonstrated leadership through founding an organization at their high school will certainly stand out. Considering all of this information together, our bottom line is as follows: Impressing admissions officers should not be your only motivation for starting your club; it should be a pleasant side effect of doing something that you are genuinely passionate about. When should I start a club? In most cases, it would not make sense for a freshman to walk into high school and immediately try to organize a club. In general, we recommend that 9th and 10th grade serve as exploratory years. Underclassmen should join clubs and activities that may interest them without feeling pressure to make a long-term commitment. The ultimate goal is to identify, through this exploration phase, a few activities that they feel most passionately about and wish to dedicate their time and energy to. This is not to say that a precocious underclassman couldn’t ever be in a position where it made sense to found a club. Maybe you’re a 14-year-old foreign language savant who speaks fluent French and is disappointed to discover that his or her new high school doesn’t participate in The National French Contest. In this instance, it would make perfect sense to dive right in. 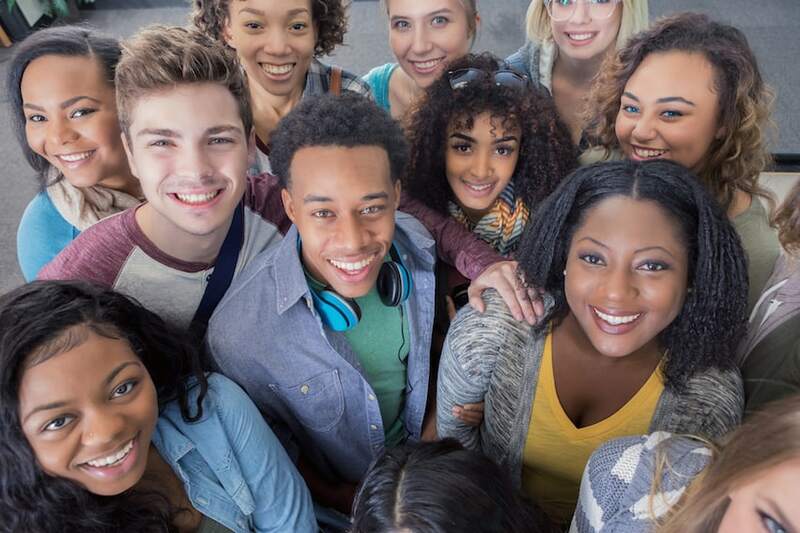 For the average teen, it will be more beneficial to take time to get the lay of the extracurricular land, meet like-minded peers, bond with potential faculty sponsors, and learn how to navigate around any red tape associated with the policies and procedures for starting an official club at your high school. What purposes can a club serve? To raise awareness or money for a charitable cause. To engage in academic competition at the local, state, or national level. To enjoy a preferred activity with likeminded peers. To challenge themselves by attempting to create something from scratch. What club should I start? As you embark on this journey, the first fork in the road is likely to be the decision of whether to start a local chapter of an already established club or whether to create an unaffiliated organization from scratch. If inspiration strikes and your greatest desire is to create a club from thin air—go for it! Perhaps a trip to visit an impoverished area sparked an idea for a highly-targeted charitable organization or you have recently become infatuated with an obscure sport and wish to start a intramural club (Jai alai, anyone?). Rest assured, however, that there is nothing wrong with starting a local chapter of a nationally recognized club. In fact, there are great advantages to doing so. Activities that are part of larger organizations that are already well established provide opportunities to earn awards/distinctions that help applicants set themselves apart. National organizations exist for almost any area of interest. Science-oriented students could found a team for Chemistry Olympiad, First Robotics Competition, or Physics Bowl. Civic-minded individuals may look toward something like Model UN or We the People (Constitutional Scholars). Those with a love of oratory could explore National Mock Trial or National Speech and Debate. Math-minded teens might consider bringing USA Mathematical Talent Search or American Mathematics Competitions to their high school. Visit our list of Competitions and Contests that Boost Your Admissions Prospects for a comprehensive list of our recommended organizations. Survey your peers to assess interest-level in joining your club. The last thing you need is to be the founder of a club of one. Procure a faculty advisor who will be dedicated to the success of your club. Learn the logistics of starting a club. It is unlikely to be an overnight process. Your school administrators will have to sanction the club, potentially fund the club and pay the faculty advisor for their time. Get a grasp on monetary considerations associated with your club. What are the start-up costs? What will the annual expenses be? Who will manage the financial matters for your organization? How often will your club meet? What facilities will you need? Decide how you will publicize your club in order to attract members. The leadership skills one gains through the process of founding and then running a high school organization is perhaps the paramount reason to consider such a time-consuming venture. Of course, for those aiming to gain acceptance at a prestigious and highly-selective college, starting an organization at your high school, particularly one that affords the opportunity to excel in local, state, and national competitions, can be a boon for your admissions prospects. That being said, there is no need to force starting a club, purely for admissions purposes. If you attend a top high school that already offers a comprehensive set of clubs and activities, you may be better off ascending the ranks of a pre-existing group.